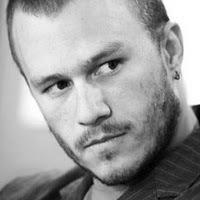 I've always had a certain affinity for Heath because he and Michelle Williams used to live in Brooklyn a couple blocks away from me. My heart goes out to her and Matilda. UPDATE: So I just walked by their old house while I was out walking Beverly. I wasn't expecting there to be a mob scene outside like at 421 Broome, but there were about a dozen reporters/camera people trying to interview people. It's kind of weird considering they don't even live there anymore (but I do think they still own it), but I guess they were just trying to find people who know them or knew them when they lived here.